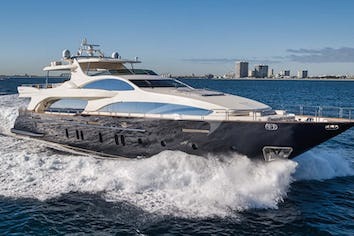 She is an 112ft Technema motor yacht with exquisite exterior and interior styling by world-renowned Italian group Posillipo. After some time in the shipyard undergoing a full custom interior design in Brazil, SAHA was finally delivered to her owner in 2016. Accommodating up 8 guests in 4 en-suite cabins, each cabin has the same amenities that you would expect of a yacht twice its size. The whole interior has been imported from Italy. You can only admire the level of detail the interior designers have gone to and the strict requirements of the owner: from full marble heads to plush leather seating – SAHA is really incredible. 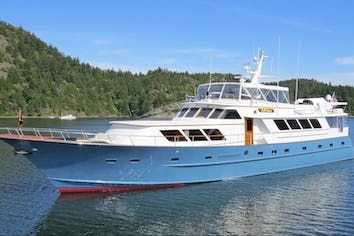 A crew of 5 is required for her luxurious charter operation, Captain Waldemir and four others including a concierge. * Beer tap "Chopp" with 4 dispensers "Jacuzzi, BQQ, Stern deck, Beach club". 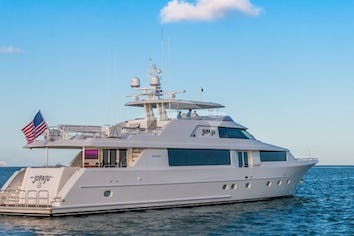 Saha is available for charter as far north as the fabulous peninsula of “Búzios”, which was famously discovered by Brigitte Bardot and boasts sparkling golden beaches, such as Praia Raza and world-class nightclubs, such as Pacha and Privilege, as well as its famous impromptu beach parties. Heading west, 85 nautical miles down the coast, the city of Rio de Janeiro will appear clearly with its landmark of Sugar Loaf Mountain – “Pão de Açucar” and Crist the Redeemer statue overlooking the city. Famed for its carnival and samba, Rio de Janeiro is always in party mode, be it Bossa Nova, Samba or even the intricate Forro dance. Continuing out of Guanabara Bay and heading westwards down the coast of Rio you pass the beautiful beaches of Copacabana, Ipanema and Leblon, and the world-famous surfer’s paradise of Prainha. Just 25 nautical miles further west. Dubbed “Costa Verde” or Green Coast by the locals due to its extraordinarily deep green waters, Ilha Grande, the “Big Island” guards the bay of Angra dos Reis. The area is a “yacht cruising heaven” comprising of hundreds of small islands, some private, others deserted and still more with bars and restaurants.